What is Heart Tay Heart? It is an event that is being born from so many contributions with input from many people from Dundee and beyond. I sit here writing this, surprisingly emotional at the support and positivity that surrounds this event already. Anyone who knows me, knows it takes moving a mountain to get me emotional. Heart Tay Heart, is the name suggested and voted for by people in the community of Dundee, I was super happy to see so many get involved in voting for the name. This includes local mental health charities, as well as through the web survey we set up. From the outset, it was important to me that people feel involved in the process from start to finish. It’s not about those of us organising the week, well it is in part as we are also part of the community in Dundee, it is about the community of Dundee and the changes to mental health that we would like to lead. Dundee Mental Health Awareness week itself, it’s not about focusing on the negative aspects that so often surrounds discussions of mental health and illness. It is about focusing on the many, many positives that exist in Dundee to support and help those who wish to improve their mental health. Now, that may be because you face the challenges of mental illness or it may be because you wish to manage your mental wellbeing. Every single person, no matter who you are or your background exists on this continuum, we all face stress on some level, we must all overcome challenges in our lives in some format. 1 in 4 of us will deal with a mental health illness within our lifetime. How many people does that make around you? It might be that you are in a café, in a public location or you may be at home . .
We can ALL make a difference, to ourselves, to those around us and to the people we don’t even know we are affecting. 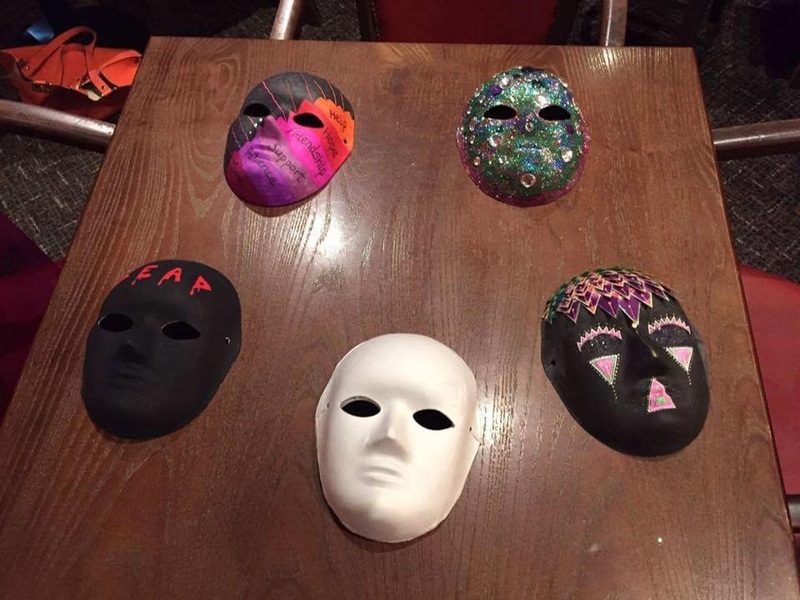 We hope the week will be an expression of Dundee’s experience of mental health through the mask exhibition’, The Many Faces of Mental Health in Dundee’, we can generate conversation around the topic, we can have the discussion, we can challenge our own mindset and beliefs surrounding mental health. Not only will it be about experiences but moving forward we hope to shine a light on the positives I mention above. We need to know they exist and there are ways to try to manage our own mental health, we can learn new strategies or reinforce that we have the best ones for us. There are charities, businesses and organisations within Dundee doing a lot of work to raise the profile of mental health in Dundee and support individuals who need the extra input. Most importantly, you are not alone in your experiences! Much more information to come, so please do keep in touch with the blogs and posts. Finally and never least – Thank you!